The Eleventh Doctor era begins here! 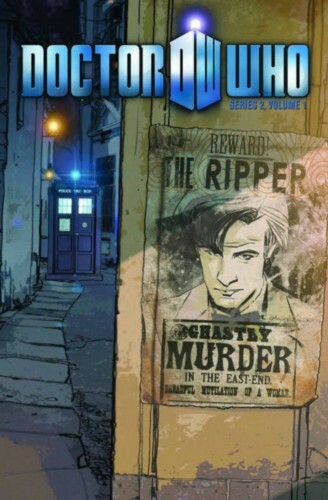 Join the eleventh incarnation of the Doctor and his latest companions, Amy Pond and her husband Rory Williams, as they travel to the far reaches of space-a planet populated by holograms-and the distant past-where they become embroiled in the Jack the Ripper murders in Victorian London? The book collects the first four issues of the ongoing series, written by Tony Lee (Doctor Who: The Forgotten), with art by Andrew Currie (The Ultimates), Richard Piers Rayner (Road to Perdition), and Tim Hamilton (Fahrenheit 451).